The papers were published by Haitham Badi, (as first author) who was my PhD student with my guidance and input and they showed the progress of his PhD research…In all papers, Haitham had discussed the complete background of the research which he thought was necessary for clarity. This is where the duplication lies. My mistake was to not check one paper against the other for duplication. It’s an expensive mistake which I would be paying with my reputation as a scholar with this retraction. However, if the reviewers had requested for us to remove the duplication prior to publication, we would have, as we had adhered to all the suggestions by the reviewers. Meanwhile, Springer has also recently retracted two 2016 papers by first author Badi (1, 2), which Abdul Kareem did not co-author. That brings Badi’s count up to five. The 2014 paper — published in Neural Computing and Applications — has been cited seven times, according to Clarivate Analytics’ Web of Science, formerly part of Thomson Reuters. The 2014 paper has been cited four times. “Static Hand Gesture Recognition Using Neural Networks” has been cited 18 times since it was published in 2014. We understand there maybe some overlap between the works, and since the works have undergone stringent review process stipulated by Springer, we feel that the overlaps are acceptable. If it had been pointed out during the review process, that there were far too much overlap we would have done what was necessary to remove them. As such, we adhered to reviewer’s feedback and responded accordingly. I only knew of the retractions when they were staring me in the face of my Academia/ResearchGate sites. This is also in violation of your guidelines. Springer and the editors-in-chief were alerted by the scientific community about the self-plagiarism. Springer reached out to the authors involved. Springer and the editors-in-chief determined the self-plagiarism was extensive enough to warrant retraction of the papers. I have never experienced anything of the sort and I have more than 20 years experience as an academic, having supervised more than 20 PhD students and published rather extensively. … my reputation as a scholar is seriously affected. It may mean loss of research grants and collaboration opportunities. “How negative feedback drives performance improvements” could be the title of her next AI paper. It’s funny that she expects the reviewers to catch the self-plagerism when she, herself, could not. I don’t see the problem at all. Any good paper consists of two very distinct parts. One is the results which have to be your own and new. And the second is the context needed to understand how and why those results are relevant. For anyone working in any specific field this background will naturally have to be essentially the same for most of the things he writes. Once you have found a concise, well worded, and easy to understand way of presenting that background, it’s only natural for it to stay similar across articles with only minor adaptation. Of course it has to be kept as short as possible (without restricting the readership and still making the article intelligible to a broader audience) and must never make up a major part of any article. This very fact is one reason, once you have found a good formulation, to stick to it. Retracting papers over self-plagiarism, especially when it is background or methods, is a really silly thing to do. As noted by Alex, if you formulate a concise way to describe much of the relevant background for a given research topic, why should you need to continuously devise new ways to describe it? I would expect academic researchers to take a relatively lenient attitude towards self-plagiarism of this type, especially considering that any time spent figuring out a new way to present background/methods information is time spent re-inventing the wheel to satisfy the self-serving demands of publishers and/or protect the subset of academic researchers that cling dogmatically to arbitrary-but-accepted rules/norms from having anxiety attacks. However, the latter seem to be more numerous than I would expect. Glad to see Springer take a hard line on paper mills. To Axel Berger and WhoCares: your are describing and apologizing for “paper mills,” where student N+1 will just wholesale copies student N’s last paper, adds a few cosmetic changes, calls it a day and adds another pub to his or her CV. Contrary to what you describe, when I have a new student write his or her first scientific paper, I tell him or her that EVERY SINGLE word needs to be his or hers, typed character by character by his or her own hands. Not a single phrase should be copied, doesn’t matter how wonderful or poetic. This is a standard part of training for graduate students at top universities, a step in making them independent thinkers and scientists. If they can’t re-analyze and further improve on even the simple portions of a manuscript such as background and methods, then there is little hope that they can produce novel scientific results. Everyone writes differently, hence even when describing the same basic procedure/background/methodology, what is written (if it is indeed NOT plagiarized) will be novel. Anything less is simply plagiarism, and must be retracted as it is an affront to scientific ethics. Unless one possesses a very limited grasp on the English language (in which case, why not seek to improve it or get guidance from language editors? ), there is an infinite number of succinct, clear and precise ways of wording the very same thing. In this case, as it was told above, every word was his own. The author reported several results from one and the same context. OTOH when working in a group I have written summaries of the project myself, but they were heavily influenced by earlier reports from collegues. That said I note and accept TL’s correction that this case was not in fact about just background at all, which makes all these comments irrelevant. Why repeat the background/methods section (especially verbatim) when you can simply refer to a previous publication? That’s partly what references are for. If and when I read an article outside of my own specialty, I expect to find everything in there, that, given a good scientific basic education, I need to understand it. I regularly follow references, but that is for addional detail, not for the basics. To give just one example, each and every article on isotopic studies contains the definition of the isotipic delta in permille. The first time I encounterd the subject, I needed that and found it helpful. Many readers come from archeology and are interested in applying the result, they are not generally well versed in the method. It is simply not possible to put “everything in there” because papers would become too long and needlessly repetitive. Furthermore, it is very likely that a paper will be read both by people from the field and people from outside the field. If we were to do what you suggest, every paper would have to be written for people outside the field. This went far beyond copying “the background” as suggested by the author. 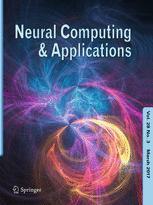 The paper “A survey on human–computer interaction technologies and techniques” is almost identical to the earlier paper “Human–computer interaction using vision-based hand gesture recognition systems: a survey”. Many paragraphs are copied verbatim and even the figures and tables are duplicated. In these situations, I have always included the sentence, “Further details about the methodology are provided by [meh, 2014]”. This refers the readers to the original article which describes the overlapping background/methods in detail if they want to look them up. More importantly, this simple sentence pre-empts any suggestion of salami slicing. (There a lot of what I would call ‘essential research sentences’. I used to keep them on “auto text” until Office 1997 arrived and made the auto text function disappear). Considerable effort has been put toward the development of intelligent and natural interfaces between users and computer systems. In line with this endeavor, several modes of information (e.g., visual, audio, and pen) that are used either individually or in combination have been proposed. The use of gestures to convey information is an important part of human communication. Hand gesture recognition is widely used in many applications, such as in computer games, machinery control (e.g., crane), and thorough mouse replacement. Computer recognition of hand gestures may provide a natural computer interface that allows people to point at or to rotate a computer-aided design model by rotating their hands. Hand gestures can be classified into two categories: static and dynamic. The use of hand gestures as a natural interface serves as a motivating force for research on gesture taxonomy, its representations, and recognition techniques. This paper summarizes the surveys carried out in human–computer interaction (HCI) studies and focuses on different application domains that use hand gestures for efficient interaction. This exploratory survey aims to provide a progress report on static and dynamic hand gesture recognition (i.e., gesture taxonomies, representations, and recognition techniques) in HCI and to identify future directions on this topic. Considerable effort has been put toward the development of intelligent and natural interfaces between users and computer systems. In line with this endeavor, several modes of information (e.g., visual, audio, and pen) that are used either individually or in combination have been proposed. The use of gestures to convey information is an important part of human communication. Hand gesture recognition is widely used in many applications, such as in computer games, machinery control (e.g., crane), and thorough mouse replacement. Computer recognition of hand gestures may provide a natural computer interface that allows people to point at or to rotate a computer-aided design model by rotating their hands. Hand gestures can be classified in two categories: static and dynamic. The use of hand gestures as a natural interface serves as a motivating force for research on gesture taxonomy, its representations, and recognition techniques. This paper summarizes the surveys carried out in human–computer interaction (HCI) studies and focuses on different application domains that use hand gestures for efficient interaction. This exploratory survey aims to provide a progress report on static and dynamic hand gesture recognition (i.e., gesture taxonomies, representations, and recognition techniques) in HCI and to identify future directions on this topic. That is unacceptable! Pushing the responsibility on the students and blaming the reviewers for not picking it up are really selfish and unprofessional. Previous Previous post: A diabetes researcher sued his former employer for defamation. Here’s the story.